“Our liberal critics slam us because we publish unpalatable truths about Israel. But sugarcoating isn’t our thing,” writes UK born Haaretz writer Anshel Pfeffer. The newspaper, which was founded in 1918, is often the center of controversy. According to a report in Arutz Sheva, a recent stormy meeting was held between publisher Amos Schocken and hundreds of people who had unsubscribed over the recent coverage of the Gaza war. According to the report Schocken told those assembled the newspaper was “part of a range of struggles for the character of the country, which are aimed at a more just and enlightened society.” The attendees were more narrowly interested in specific issues. “Are there no red lines,” they wondered, complaining about an article by columnist Gideon Levy which had assailed Israel’s pilots, a unit long considered a sacred cow of the state, above criticism. They wondered whether the newspaper would run an oped by the leader of Hamas. 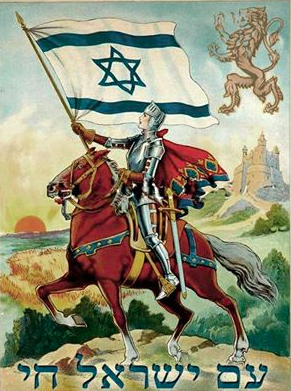 The newspaper’s writers concern themselves a lot with Zionism and patriotism. “Haaretz pushes the envelope beyond those comfort zones,” claims Pfeffer, while castigating fake Zionists and false patriots. Schocken had said that the newspaper courts “controversy” as part of its policy. The excuse for articles that appear outrageous is “Haaretz presents you the unvarnished internal debate in Israel and we’re not going to prettify it.” Therefore “this column is about Israeli democracy and those who have trouble realizing its full implications.” Amos Schocken wrote a personal appeal in May of 2014 to readers telling them not to unsubscribe for patriotic reasons. “You will become a partner in the ongoing effort to shape Israel as a liberal and constitutional democracy that cherishes the values of pluralism and civil and human rights” by subscribing, he claimed. When taken to task by Richard Silverstein at the Tikun Olam blog for passing off a newspaper as a sort of Soviet style loyalist Pravda of the state, Schocken responded on Twitter “typical of leftists, more busy showing their own who is more leftist than aiming at the right.” The essence was that Haaretz is part of a 1930s style crusade against the right, like the ideologues of the Spanish Civil War ‘no pasaron’, Haaretz will hold the line. To understand Haaretz we must go back to its origins as a mouthpiece for the German Jewish establishment that moved to British Palestine. Its early history was deeply intertwined with Salman Schocken, a business tycoon from Germany. Schocken never learned to speak Hebrew but when he moved to Palestine he sought to bring German culture with him and he supported the Jewish bi-nationalist peace movement Brit Shalom. He bought Haaretz in 1935 with a view of turning “the servile into human beings.” As Remnick’s article notes, he sought to guide readers “in their fundamental opinions so that they will unwittingly adopt our view.” He disliked parochial Israel, “In an era of Jewish nationalism, he was the ultimate cosmopolitan, living in hotels and houses from Scarsdale to Switzerland.” He was a friend of Hannah Arendt. In 1997 the paper partnered with the International Herald Tribune and its self-perception of itself as the only real intellectual paper in Israel was suddenly transmitted to the world. Haaretz’s achievement is a testimony of the phrase Nietzsche’s ‘der Wille zur Macht’, the will to power. If you believe something strong enough, others being to believe it as well. David Makovsky is quoted by Remnick as noting that “the first thing an Arab foreign minister will ask me is did I read Haaretz this morning?” To be fair, in the 1970s and 80s the paper had portrayed itself as “the publication for thinking people” and it had cultivated some high quality reporters. Newspapers in Israel since the early days had been dominated by political parties and Haaretz did try to break that trend, but in so doing it slouched farther and farther to the radical left and the quality of its reporting decreased. The main problem with those reading Haaretz abroad is they don’t understand the conversation they are joining when they read Haaretz. They think they are reading about Israel from a center-left publication, similar to the major newspapers of record abroad, such as the ‘Times’, El Pais, Corriere Della Serra, Le Monde, or Die Welt. But while all these newspapers certainly have political ideologies and reader bases that reflect certain socio-economic and racial demographics, they are nowhere near as insular as Haaretz. 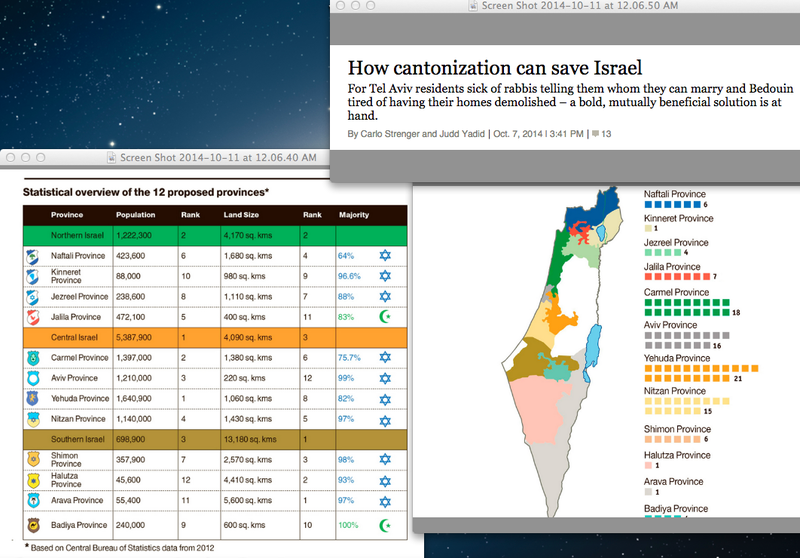 To understand Haaretz, one must understand that its circulation rate in Israel is in the single digits as a percent of the population (20-30,000 readers in print, compared to the largest daily, Yediot, which is read by an estimated 60 percent of Israelis), and that it is read by and written for and within the milieu of a narrow-minded, extremist group. This was referenced above in noting that the early owners and writers were decidedly “European” in their culture and in wanting to preserve “European” culture in the “jungle” of the Middle East. But what we need to understand is that this view lives on to this day in the self-perception of supremacy. Haaretz is a “tell” and a “sign” used among a small elite to show that they are members of “the club.” It is a vehicle for transmitting cultural superiority. It is essentially a narrow-minded insular bigoted newspaper that views itself as entirely Jewish-centric, Israelo-centric and supporting a European Jewish, what is often called “Ashkenazi” in Israel, agenda in Israel. The concept of Jewish racism is not well understood and is often considered controversial. It is also misunderstood. European Jews went through torturous experience in the period 1850-1950. After the haskalah or ‘Jewish enlightenment’ in Europe many Jews chose a path of assimilation. Through this passed a religious reformation led by Israel Jacobson and others that created Reform Judaism. But assimilation, so evident in the life stories of many German Jews like Heinrich Heine and Karl Marx, was proved a failure with the rise of anti-Semitism which targeted Jews as a race, rather than a religion. Zionism was one response. Zionism’s founders were not religious Jews and their views of “Zion” often viewed the project as European-style nationalism combined with European concepts of colonizing dyspeptic lands. One has to understand that the grafting of a sub-set of German-Jewish concepts of insularity and supremacy onto Zionism produced a dangerous mix of ethno-nationalism and secular “scientific” backed racism. For many German Jews in the early half of the 20th century, they viewed themselves in a kulturkampf with the “dark and savage ostjuden” or Jews from the east. These religious Jewish migrants, many of them peddlers and poor, were hated by the German-Jewish aristocracy, men who would have known Salman Schocken and Hannah Arendt. Ruppin and his settlement department of the Palestine Office, a Zionist institution in Palestine, was influential in creating a segregated society among Jews. His kibbutzim would be secular, socialist and “European-only,”; and Ruppin himself advocated a separation that would be similar to the theories that were being put forward in the US South, British India or South Africa. One has to remember that in those days eugenics and racial supremacy theories were common. The cultural milieu of this sub-set of Zionists was such that they viewed non-European Jews, Eastern European ‘ostjuden’, Arabs, Africans and others as inferior. That was 1961, after the Holocaust and in the period when decolonization was becoming normal, and yet this ostensible “liberal” and “Left” philosopher believed that German Jews were superior to others. The greatest trauma that Haaretz faced in the early years of the Jewish state after 1948 was the feeling that the state might become a “half-Asiatic” country as Jews from Yemen, Iraq, Morocco and elsewhere immigrated. 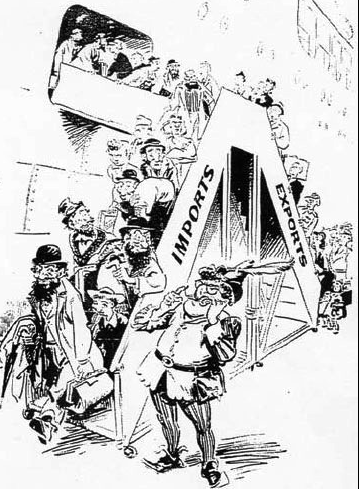 In a series of articles in 1949 Haaretz writer Aryeh Gelblum castigated the non-Europeans in the country. He began by explaining the eugenics based racism of his mentality: “[There are] three main blocs: the Ashkenazi-European, Spanish-Balkan, and the Arab-African . . . I should dare to say that the first bloc is the elite; the second bloc is the inferior one; and the third bloc, the Arab-African one, is even dangerous!” Jewish immigrants were castigated. They were “an immigration of a race the likes of which we have not yet seen in Israel . . . Before us is a people whose primitiveness is unmatched. Their level of education borders on total ignorance, and even worse than that is the inability to absorb anything intellectual. Usually they are just one step above the level of the Arab, black and Berber inhabitants of their lands; in any event, this is a level that is below what we have encountered among the Arabs in the land of Israel in the past” He saw Jews from Muslim countries as “unlike lower human material from Europe.” Human material is a term associated with socialism and Nazism, it was a term seeing humans as objects to be used to build society. It is essentially elitist and fascist. Haaretz is the embodiment of this view that Israel was supposed to be a home to European Jews only. The mistake people make reading Haaretz is that they accept without question or critique the self-description of it being on the “left.” But Haaretz represents an unrepentant 1930s left wing view. This was a view that still embraced eugenics and supremacy of some groups over others. Amos Elon, who wrote for Haaretz for decades and embodies most of all its outlook, wrote in 1953 when visiting Morocco that the Jews he met were “degenerates,” and he pondered what their “uncontrolled fertility would have on the Jewish people’s genetic robustness.” The hocus-pocus of Jewish genetic purity was also a project of Ruppin when he sought to isolate European Jews behind acceptance committees in Israel. He believed that his genetics made him superior. There is an unbroken line between Ruppin, Gelblum, Elon, Arendt and Shavit and Haaretz. It isn’t a coincidence they all wrote this way, it is the normative way of thought in this community. 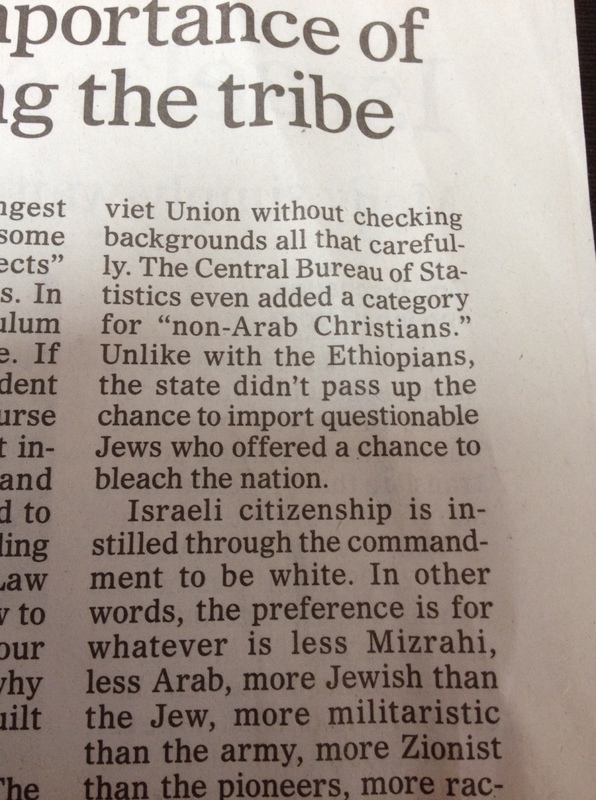 The racism on offer at Haaretz has no parallel in Western newspapers. Of course many Western newspapers also have a dark racist past and published “unpalatable truths” in the 1930s and 50s. But they don’t do it anymore. The difference is that Haaretz is an unreconstructed newspaper. Gideon Levy often hides behind being a martyr for free speech. In a 2010 article at The Independent they asked “is Levy the most hated man in Israel or just the most heroic.” Al-Jazeera noted in 2014 Gideon Levy is arguably the most hated man in Israel for his reports on the occupied Palestinian territories.” On August 27 Levy even wrote a self-congratulatory column honoring himself for being the most hated man in Israel. The problem is Levy is disliked for his political views and that allows him to be shielded from the real critique. In a December 2013 article he wrote “A million immigrants from Russia, a third of them non-Jews, some of whom were also found to have a degree of alcohol and crime in their blood, were not a problem.” No Western newspaper would publish an article saying that an ethnic group has “crime in their blood” and if they did they would apologize and censure the writer. But Haaretz doesn’t because it wholeheartedly is connected to this view. The view is that Russian Jews as Chemi Shalev argued “hail from distinctly non-democratic backgrounds and represent expressly anti-democratic constituencies.” This myth of Israeli “democracy” is integral to the Haaretz self-perception as a “democratic” newspaper. It doesn’t support democracy in the modern sense, but in the 1930s sense that the left in Europe viewed democracy as a tool. The normative racist discourse at Haaretz extends beyond Jews from Islamic countries and Russians and includes Ethiopians, yet another group that does not fit into the insular Europeans-only worldview. In a recent article by Salman Masalha he wrote of a security guard “his black color looked very shabby, tattered and stained with evil.” This was acceptable at Haaretz, castigating someone for their black skin color. Is that normal in Western left-leaning newspapers? Is that part of pluralism or fascism? Anshel Pfeffer said the column represents the “beauty of freedom of speech (and Haaretz)” and “I don’t have to defend what he says only his right to do so.” Haaretz often turns the racist table on end and hides behind free speech. The KKK also hides behind free speech, but if the KKK wrote a column at the New York Times, or the radical European right did so at Le Monde, one would demand he newspaper apologize and if it didn’t the newspaper would be considered racist as well. Racism is part of free speech, but it doesn’t free the newspaper of responsibility, and the truth is that Haaretz has a 70 year pattern of publishing racism. It gets away with it by pretending to be on the “left” and non-Israelis are afraid to critique it because they think they are harming an authentic publication of the progressive left; while internally its readership doesn’t critique it because too many of its readership supports its narrow-racially biased worldview. It pretends it is just writing “unpalatable” stories about controversy and its bashing of Jews is part of an “internal” Jewish discussion, when in reality it is unpalatable and its articles reek of the racism of any extreme rightwing ethno-nationalist and Eurocentric publication. It pretends it supports Palestinians, but its caricatures of them are orientalist, and its attempts to “save” them part of a superiority complex. In a 2004 interview with Ari Shavit, Haaretz writer Elon told his colleague that Israeli democracy was threatened: “I’m not surprised when you look at the population. We know where it comes from. Either from the Arab countries or from Eastern Europe. But on the political level, this arrogance was manifested in a total forsaking of an embracing of the elites.” Ari Shavit wrote in October of 2013 “The battle for Jerusalem is almost lost. Haredi (ultra-Orthodox) students currently account for 39 percent of all the capital’s school children. Arab students account for 37 percent of the capital’s school children.” The view of Haaretz on “democracy” is one of an insular group that sees itself as having “lost” the country in the 1977 elections. The “jungle” as it were, has conquered the villa through demographics. This is on display among Haaretz fellow-travellers like Richard Cohen at The Washington Post, who writes in his recent book “Jews from Islamic lands, already nearly 50 percent of the population, become a healthy majority and change the face that Israel presents to the world.” He uses a metaphor of the good Israel being the one with a “national character” of the “European exile, the fighting intellectual, rifle in one hand and a volume of Kierkegaard in the other.” The “character” of Israel is what Haaretz talks about, and that character means not ideology, but ethnicity and religion. A Jew from Iraq can never be right for the “face” of Israel or the “character” simply by virtue of place of origin. This isn’t a liberal ideology of the West that embraces multi-culturalism, this is a 1930s unreformed ideology, and it is the one guiding Haaretz and those who agree with its editorial line. Only a European Israel will do. Understanding the concept of “loss” is key to understanding the ancillary post-desiderata of Haaretz extremism. All of the opeds devoted to calling Israel an “apartheid” state and other comparisons to 1930s Germany, fascism and McCarthysim is derivative of feeling the state is not “ours.” When Sefi Rachlevsky wrote on September 17 that there is similarity between the agenda of ISIS and Israelis who want a “Jewish state”, it was about viewing the state as having been “taken” from Haaretz and turned over to the right, just as Schocken said in this message to Silverstein that one must concentrate on attacking the right. Haaretz’s ideology of European-Jewish-secular insularity is still on display daily. 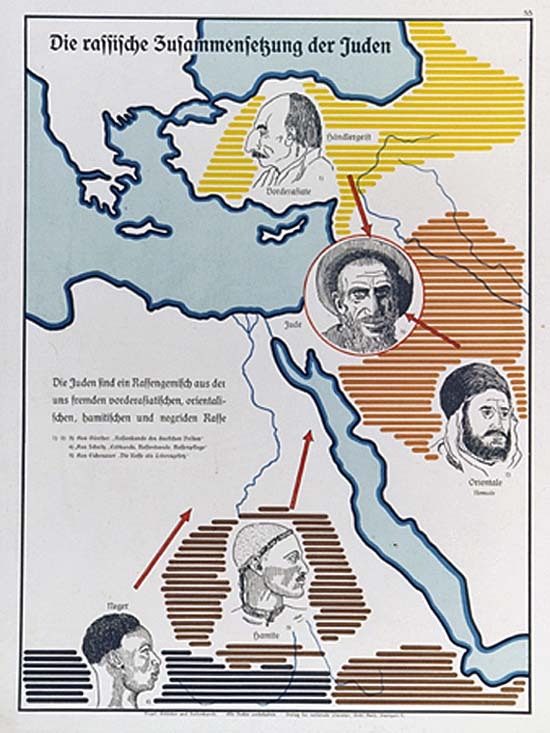 Carlo Strenger published a piece on October 10, 2014 arguing for “cantons” with a map showing group-areas for Arabs and Jews with gerrymandered districts and arguing for autonomy and separate development, reminiscent of something from the 1950s. In March Kobi Niv advocated a “separate” but apparently equal “Israeli-Arab parliament.” Avi Shilon writes on Sept. 17 “some groups in Israel-Arabs, ultra-Orthodox, Mizrahim-have had a hard time integrating because of the contradiction between their values and the original orientation of Zionist ideology.” The contradiction was Zionism’s making, not the fault of the original inhabitants of what is now Israel. And it is a contradiction perpetuated by Haaretz in the continuing view that Russians, Orthodox Jews, Ethiopians, and Jews from the Muslim and Arab world are not welcome or are a threat to the “Zionism” and “democracy” that this insular worldview supports. It is a worldview that is profoundly Jewish in a sense, as Samuel Heilman writes in an oped “without nurturing an environment where Jews create distinctively Jewish life…they are nothing special.” But Haaretz’s warped view of Jewish life, of a professional philosopher-king class of German-Jewish inspired intellectuals being the only group the state is reserved for, is the wrong Jewish life for the Jewish State.